Made by Korban / Flaubert in Sydney, New South Wales, Australia, 2002. 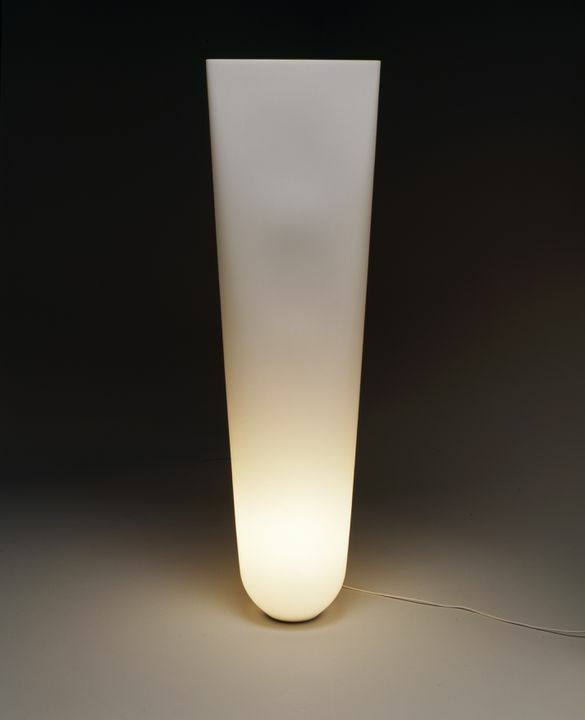 Floor lamp, 'Swaylamp', plastic, metal, designed by Korban/Flaubert, Sydney, New South Wales, Australia, 2002. Floor lamp formed with the polyethylene shade in the shape of a vertical flattened tube, the base of the tube enclosing a weighted stainless steel light fixture. Designed by Korban/Flaubert in 2002.